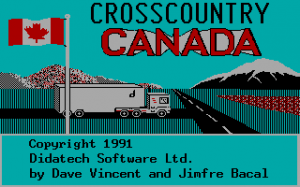 Crosscountry USA 2 Ingenuity Works (Canada), Ingenuity Works (Canada), 2002 Download it Now ! 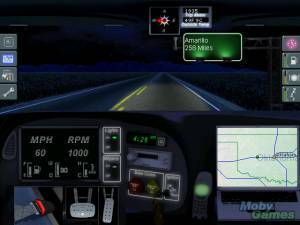 Cross Country is at its heart an economic simulation of driving an 18 wheel truck delivering commodities. 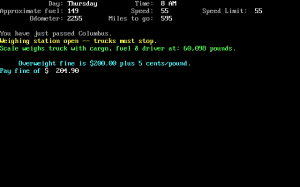 Players travel across the country picking up commodities in different cities - and then delivering them all to their destination. Along the way, they solve problems, use map skills to plan the trip and math skills to calculate expenses, balance sleep, food and fuel requirements.